I write to you on behalf of the Middle East Studies Association of North America (MESA) and its Committee on Academic Freedom to express our grave concern about your decision to bring misdemeanor conspiracy charges against eleven students at the University of California, Irvine, and the University of California, Riverside, in connection with their disruption of a speech by Israeli ambassador Michael Oren at UC Irvine on February 8, 2010. We regard this action as a grave threat to academic freedom and freedom of speech, and we urge you to drop these charges immediately. The events surrounding Ambassador Oren’s speech at UC Irvine on February 8, 2010, are a matter of public record. The eleven students interrupted him repeatedly with vociferous complaints about Israel’s policies, so that he felt obliged to stop speaking for twenty minutes. University police officers arrested the students, who offered no resistance; the ambassador then finished his speech. Following an investigation of the incident, the UC Irvine administration suspended the charter of the university’s Muslim Student Union, with which most of the protesters were apparently affiliated, for one year (it was ultimately restored on December 31, 2010) and placed the organization on probation for an additional year. A UC Irvine spokeswoman has recently been quoted in the media to the effect that the university now regards its disciplinary action against the students as completed. Notwithstanding this, your office has chosen to bring criminal charges against these students. We regard this action as deeply troubling, particularly given the fact that the students’ protest was peaceful, that they did not resist arrest, that Ambassador Oren was ultimately able to finish his speech, and, most importantly, that the students have already been disciplined by their institution. As the American Civil Liberties Union has noted, there is no precedent for bringing criminal charges in response to a peaceful student protest. We further note that all these students are in good standing at UC Irvine and UC Riverside; most of them, in fact, have excellent academic records and can look forward to productive careers. 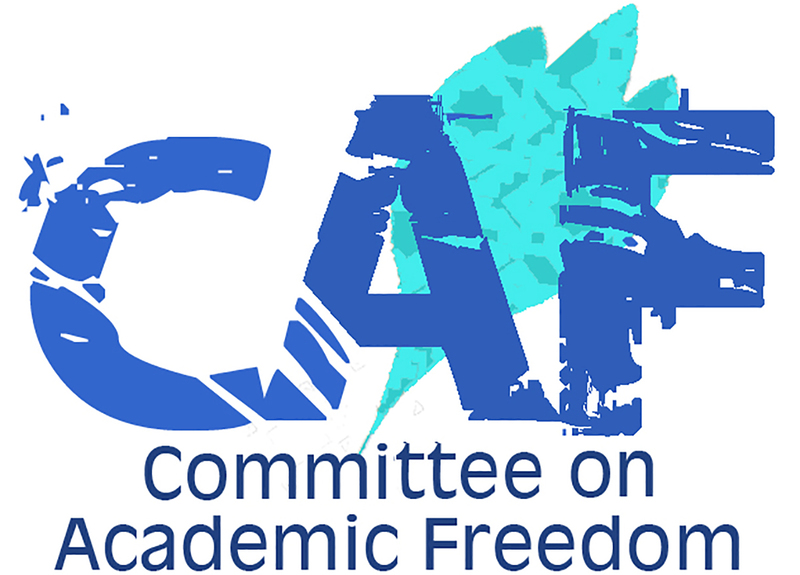 We believe that universities must resolutely uphold and defend the principles of academic freedom, and must also be sanctuaries for the free expression of ideas and opinions. That means that universities must also be a haven for controversial speech – by invited speakers but also by those who wish to protest what those speakers have to say. For your office to bring criminal charges against these students will, we fear, have a chilling effect on students and student groups, in California and in other states, who may wish to exercise their right to express their opinions on volatile political issues in a university setting. While one may question the manner in which these students chose to engage in protest, they were unquestionably exercising their right to free speech. Moreover, the principles of academic freedom and of respect for the autonomy of institutions of higher education require that they be judged and, if deemed appropriate, sanctioned by their universities, as these students have been, rather than being subjected to criminal prosecution. We therefore call on you to dismiss all criminal charges against these eleven students immediately. We look forward to your prompt response.